This book reflects the stories of practitioners in Aboriginal early childhood education in Australia. 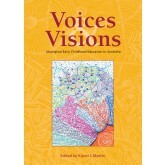 It is not just their stories, but a text for how Aboriginal worldviews and frameworks are incorporated in what they do. As Aboriginal people we have always had to conform to a Western schooling system, one which does not fully appreciate our knowledges. In what you are about to read there is an implied but silent script in that, ‘you listen now and let us tell you’. I really liked all of the stories and all the voices and how the narra-tives wove around key learnings, highlighting the important events from the author’s points of view, how these were experienced and other things that the writer wants the reader to know: the successes, the challenges; stories of family, of country and so much more. But they are also all essentially stories about early childhood education and what it means to be a good Aboriginal educator … I have never met any of the authors personally but feel I know them after reading the stories. What Happened to My World? 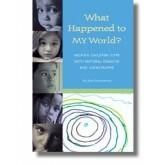 This is a resource for parents, teachers, and anyone working with children. It was written to help adults peer into the minds of children from infancy through the teenage years, and understand their confusion, fears, grief, and struggles to understand why inexplicable accidents or the forces of nature can suddenly disrupt or destroy the world as they know it. It is of help both to those who experience and survive catastrophe firsthand, as well as the children who witness from a distance and wonder what it was like or whether someday they will find themselves in similar situations.